Hiking the Inca trail has long been on my travel bucket list and having travelled with G Adventures before, I knew I could trust that my G Adventures Classic Peru trip would live up to expectations. 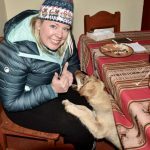 And whilst I didn’t end up hiking the Inca trail (instead choosing the Lares Trek,) I did end up having an amazing trip with G Adventures in Peru. I wanted to share my experiences with you in this G Adventures Review of the Classic Peru Trip I took in October 2017. Why I prefer travelling with G Adventures. What to budget for on a G tour. What to expect on the Classic Peru G Adventures trip. The Inca Trail vs Lares Trek. 1.1 Why Take a Group Tour? 1.2 What are the advantages of travelling with G Adventures? 1.3 What are the disadvantages of travelling with G Adventures? 1.5 Click here ➡️ to check out G Adventures current sale. For me on this particular trip, it was convenience. I had 10 weeks in order to see 6 countries – no mean feat! I also only had 2 months to plan my 10-week trip and so it was inevitable that my South America Itinerary would include a couple of group tours. I’d also read lots about South America being a dangerous place to travel and so the thought of travelling with a reputable tour company gave me some comfort and soothed my parent’s anxiety. Turns out travelling in South America is a whole lot safer than the press makes out and travelling solo in South America would have been absolutely fine. That said I’m still glad I took group tours in South America as it allowed me to achieve a lot in a short time – far more than I would have achieved if I was organising my own transport! And whilst I also love solo travel, sometimes you can’t beat the convenience of a group tour. I chose to travel Peru with G Adventures because I’ve taken several G Adventures tours in the past and have always been really impressed by their professionalism and ethics. You can read more about why I love G Adventures in this G Adventures Vs Intrepid review. And if you want to read about another G Adventures trip I’ve taken, start with this article about my G Adventures Galapagos budget cruise. What are the advantages of travelling with G Adventures? Convenience. No need for hours spent planning the boring aspects of travel such as how to get from A to B. Instead you can focus on the fun stuff like choosing which excursions you want to take! Guaranteed company. No need to worry about eating out alone or hiking on your own and getting lost! You will have a ready-made set of friends who will probably be like-minded. You will have an adventurous spirit in common at the very least! I’ve made some brilliant friends on group adventure tours in the past. Safety. Now whilst travelling in South America is safer than my parents still believe, there will still be inevitable risks. Mostly of theft and petty crime. Travelling in a group where you all watch each other’s backs will help protect you from becoming a victim and will help reassure your family and friends back home that you will return in one piece with all your belonging! Your knowledgeable tour leader can also help to advise you which parts of town are safe and which areas should be avoided! Information. If your guide is anything like the 5 G Adventures guides I’ve travelled with, they will be a fountain of information. From the useful practical things like where to find an ATM to titbits of info about the history, culture and geography of a place. What are the disadvantages of travelling with G Adventures? As with all group tours, there’s the possibility you won’t get on with your tour group. I find it very unlikely that you won’t find anyone in your group you click with but I guess, in theory, it’s a possibility. That said, on all 5 G Adventures trips that I’ve taken, I’ve had lovely groups and have made friends for life. Tours are not always the cheapest way to travel. That said, G Adventures is one of the most reasonable tour companies I’ve come across and offers different levels of comfort depending on what you can afford and how you like to travel. In my experience, all the tour guides are local to the place you are visiting. This meant they were able to give a greater insight into the local culture and history. I also travelled with Dragoman in South America but whilst I enjoyed the trip and the overlanding style of travel, I was at times, disappointed with our guides lack of knowledge about the local area, probably because they were Brits guiding us around South America! Every tour guide I’ve had with G Adventures (I’ve had 5) has been brilliant and has gone above and beyond to make sure the trip was brilliant for everyone. They have a great cancellation policy. 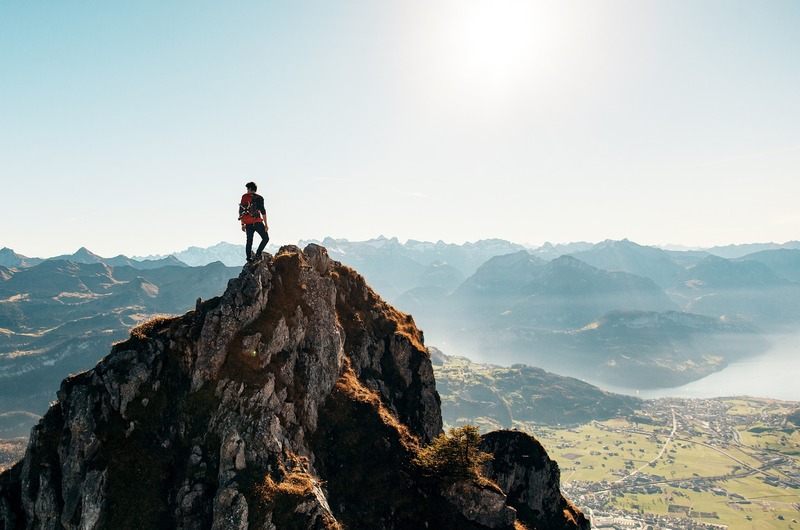 Whilst most tours will keep your money if you back out from a tour and your only option is to claim on your travel insurance, G Adventures will allow you to exchange your trip for one of the same value in the future. Read about their cancellation policy here. G Adventures takes responsible travel seriously. They work closely with the communities they travel within. 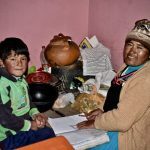 G Adventures not-for-profit partner company Planeterra ensures that communities benefit from G Adventures operating in that area, supporting ground roots projects. They also make an effort to always use local businesses where they can such as local restaurants rather than chain restaurants. If you want to read more about G Adventures approach to responsible travel, click here. Click here ➡️ to check out G Adventures current sale. This will vary depending on the location and the type of tour. My Galapagos G Adventure trip was actually really luxurious. So was my South East Asia accommodation (probably as hotels were so cheap there!) My South America accommodation was a bit more basic but always comfortable. Some of your meals will be included but most won’t be. Often breakfast is included but lunch and dinner will need to be budgeted for. Often the group finds dinner together but there’s no pressure to if you’d prefer to go off and explore by yourself. Always check beforehand which G Adventure activities are included and which you will have to pay extra for. Usually there is a mixture. It’s great as it allows you free time to do your own thing on occasion. Check the optional excursions in the trip notes to decide ahead of time where you want to spend your money. One of the things I love about G Adventure trips is that they keep the group sizes small. Whilst they can have up to 16 people on one trip, I’d say the average is closer to 10-12. Enough people that you’re bound to make at least a few friends but not so many that you start to feel like a herd of cattle being herded from place to place! On the Classic Peru trip, we started off as a group of 10 but were split into groups of 5 for the Lares trek and Inca Trail depending which trail we chose. We then each had a few extras join our group from another G Adventures tour. We had all become such close friends in a short time that we couldn’t wait to be reunited after our treks and exchanged stories and photos. READ Travel Inspired Jewellery - that you will love. What is the Average age on a G Adventures trip? The average age on a G adventures trip seems to vary a lot depending on which style of tour you choose and which country. Budget trips in South East Asia seem to attract more young people in their early 20’s but in my South America Group, we were aged between 25 and 60 with the average age being about 30-35. If you are a little older and want to increase the chances of travelling with a mixed bunch of ages, go for the mid-budget or comfort trips over the shoestring ones. But regardless of how old the members of your G Adventures team are, you can almost guarantee everyone will be young at heart and keen for an adventure! Can I go on a G Adventures Trip Alone? Most people who join these trips are on their own so it’s great for singles and solo travellers. Sometimes people do come in couples or pairs but if you travel alone, you will be paired with someone the same gender and a similar age to share a room so you won’t have to incur a single supplement. If having a room to yourself is important, you can usually opt to have your own room at an extra cost. this is not always available on boat trips or camping sections of the trip. The good thing about a G Adventures trip is that you know your transport and accommodation is covered so you only need to budget for food and activities, therefore its easier to manage your money on the road. On a typical G Adventures trip, breakfast is included in most hotels but very few lunches or dinners are unless specifically mentioned in the trip brochure. Therefore this will need to be factored into your budget. Flights are not included and so this will be your biggest outlay on top of the G Adventures trip cost. Usually, there will be some tours and activities included in the price of the trip. 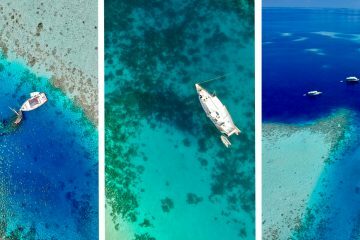 Additional excursions are often mentioned in the full trip itinerary along with costs and so it’s easy to help you budget for your G Adventures trip. Other costs to consider are immunisations, malaria medication, drinking water and taxis. We started our G Adventures Classic Peru trip in Lima. I arrived late at night so didn’t get much chance to explore. From what my trip mates have told me, Lima is nice enough but you don’t need to allow a lot of time to explore. There are other much better places in Peru more worthy of your time and money. 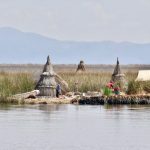 The following morning, we hopped on a domestic flight together to reach Puno on the shores of Lake Titicaca. 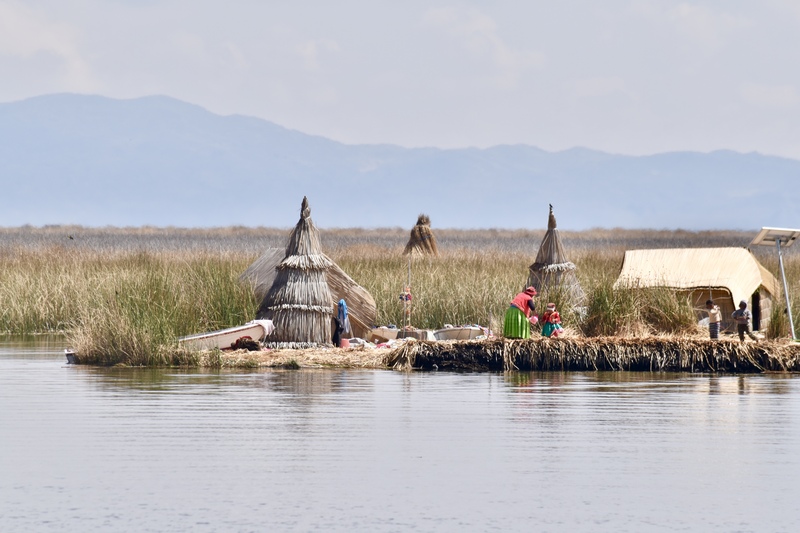 We used this as a base for exploring this high altitude city and the beautiful Lake Titicaca. 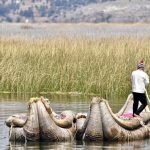 Included in the cost of this tour, was an overnight Lake Titicaca trip where we visited the floating islands of Uros (islands and homes made entirely of river weeds,) visited a village on the Taquile Islands and then stayed at a homestay in an island on the shores of the lake. The homestay was a brilliant way to experience ‘real life’ and we were welcomed warmly into our host’s homes. Whilst they spoke little English and our Spanish was not brilliant, we found ways to communicate and this homestay was one of my trip highlights. We played with the children, ate delicious home cooked food, showed our families pictures from back home and in the mornings we helped our families with jobs around the farm. From Puno, we travelled north to Cusco, a beautiful city nestled in the Peruvian mountains. By now, our altitude sickness was settling and we enjoyed wandering the markets and the churches of Cusco before a day trip to see The Sacred Valley. You have to see The Sacred Valley to believe it! We climbed to the top of the Ollytambo ruins and were rewarded with beautiful views in every direction. We also visited local Planeterra project such as the women’s weaving initiative at the Ccaccaccollo community centre where we learnt how the super soft alpaca wool was weaved into beautiful products such as jumpers and scarves and we stocked up on Christmas gifts for our families back home. Lunch was at the Parwa Community Restaurant, another local business supported by G Adventures and some of the best food I tasted my entire trip. The next stop for us was the start of our trek into the Andean Mountains. For me, this was the Lares trek. 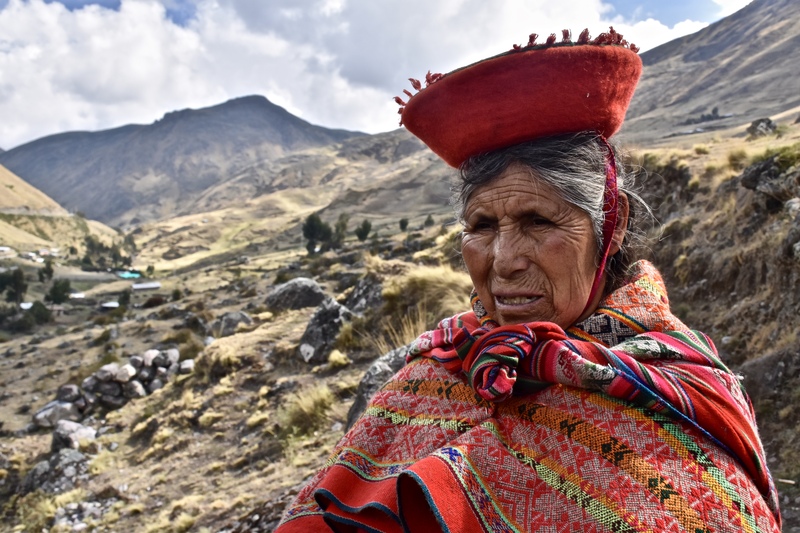 For many, the question at this point is whether to choose the Lares trek or the Inca trail. In truth, either trek is fantastic and I’m sure you’ll have no regrets whichever you choose. Half our group did the Inca trail and half chose the Lares trek. Did you know G Adventures has actually won an award for being the best inca trail tour provider? You can read more about that by clicking here. The Inca Trail requires a permit and sometimes these need to be obtained up to 6 months in advance. The Lares trek will not take you right to Macchu Pichu, you will need to take the scenic railway to Aguas Calientes where you will stay overnight and visit Machu Pichu in the morning. 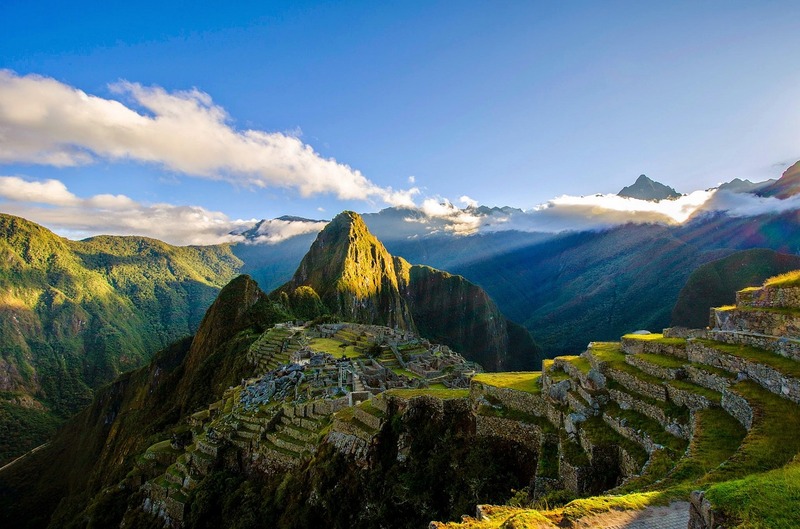 The downside is that you don’t get your first glimpse of Machu Pichu from the sun gate but the upside is that you are showered and well rested to enjoy the Inca Ruins and spectacular scenery fully. The Inca Trail gets busy and the campsites are large. If you are looking for peace and quiet, choose the Lares Trek, we barely saw another human except for a few farmers and children. The Lares Trek goes to a higher altitude than The Inca Trail but is shorter – 3 days versus 4. Nothing can quite prepare you for your first sighting of Machu Pichu, it is truly beautiful. 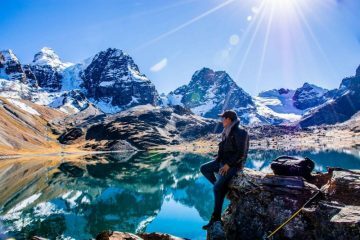 I can personally recommend the Lares Trek – it was one of my favourite experiences in South America to date. The views were stunning, the peace and quiet refreshing, the achievement satisfying. I have heard just as positive things about the Inca Trail so whichever you choose, it is likely to be something you will remember for a very long time. To read more about my experience hiking the Lares Trek, click here. You will then a have a few days in Cusco before the trip finishes. Take a trip to the multicoloured Rainbow Mountain or go horse riding or quad biking nearby Cusco or spend time wandering the quaint city. Sadly, I got sick and spent most of my time in my hotel room! But Cusco, I will be back..! From Cusco, I flew to La Paz and travelled through Bolivia, Chile, Argentina and Brazil. You can read about my South America Route here. If you are visiting Peru and planning to do either the Lares trek or Inca Trail, you should definitely consider the Classic Peru trip with G Adventures. As you may have realised by reading other articles of mine, I am a huge fan of G Adventures. All opinions are my own and this trip was paid for in full by myself. 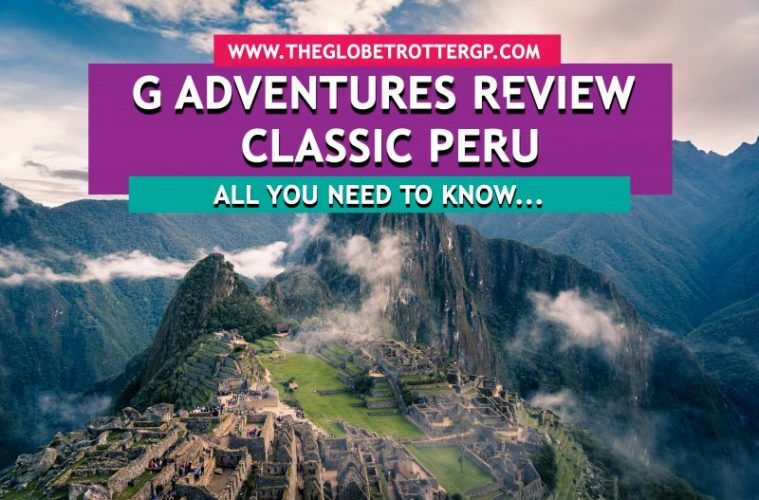 I hope you’ve found this review of G Adventures ‘Classic Peru’ useful and I’m sure if you choose to take the trip with G Adventures, you will have the most wonderful trip. As always, I love to hear from you so please feel free to leave comments below and I’ll respond to them directly. If you are feeling super generous, I would love some social shares for this G Adventures review or perhaps pin these pins to your Pinterest boards for later? I have not made it to Peru yet but when I do go I would love to do a group tour like this. Seeing Machu Pichu is definitely on my bucket list, I just need to make sure my knee is strong enough to be able to do the hike. Great! I would love to visit Peru! I have been thinking about booking a tour with G Adventures for a while now. Thank you for sharing such a comprehensive review of your experience! Thank you so so much for such a thorough review! This is so helpful! I’m definitely interested in booking this! They are a great company. Which tour were you thinking to take?